Coffee is a must for my daily routine. It’s how I start my day. But sometimes, I rather have an iced coffee. Typically, I would stop at the local coffee shop and pick one up after dropping Peyton off at school. At $4.50 a coffee that can add up pretty quickly. 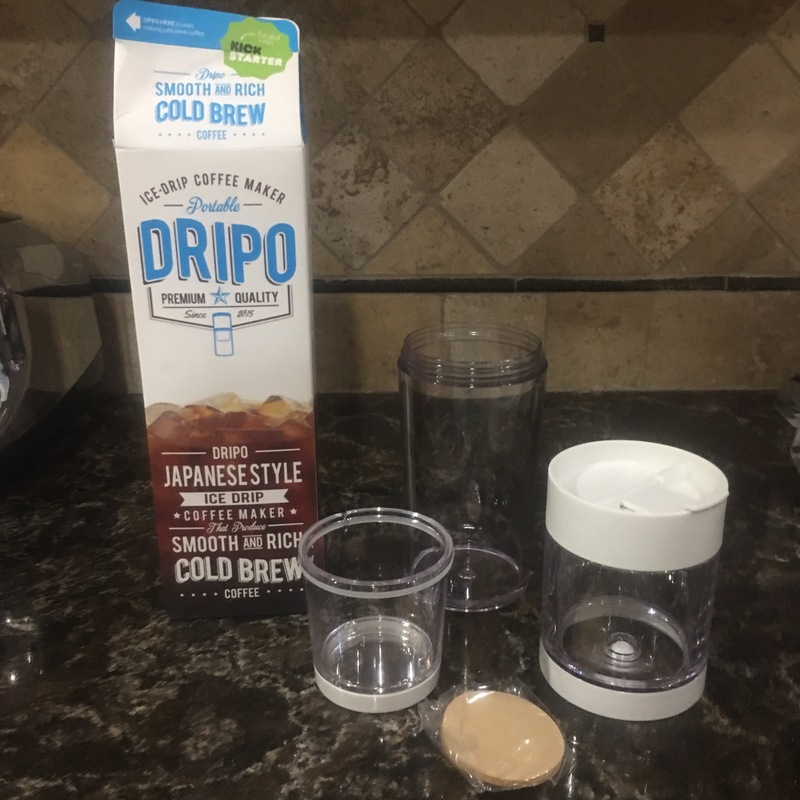 Dripo has an ice drip coffee maker that will let me have my iced coffee without leaving the house. We are also a very active family so I really appreciate that the iced coffee maker is portable. I am looking forward to taking this with us camping next summer. I wish we would’ve had it when we went to Florida earlier this month. I would have been nice to make an iced coffee in our hotel room before we headed out to the parks. The Dripo is really easy to use. Simply place 5 teaspoons (25 grams) of ground coffee beans in the coffee container, place the filter on top of the coffee, this will help to evenly distribute the water. Next place the ice and water in the water reservoir. The water should start to drip down, through the beans and into the cup. If the water flow is too slow try adjusting the tightness on the water container. Once your coffee has brewed you can either drink it straight from the cup or transfer to another container. I like to do the ice brew, pour into an ice cube tray and freeze. Then when I make iced coffee I toss a few of those ice cubes into my finished cold brew. Then I can have chilly iced coffee for longer without watering it down. If you enjoy your iced coffee with sugar, be sure to mix it the same way you would drink it before you make the ice cubes. Otherwise, your iced coffee flavor will change as the ice melts. 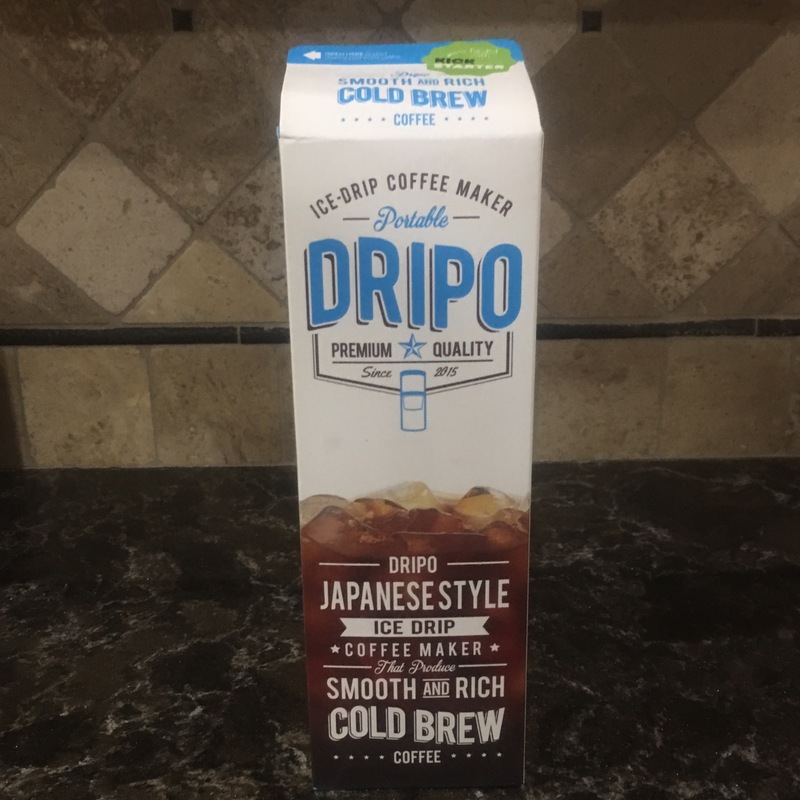 The Dripo is the perfect gift for those who love iced coffee. They’ll be able to enjoy a customized cup of iced coffee anytime of day anywhere they are. You can purchase the Dripo on Amazon. I’ve never heard of this before. I don’t know if I would get a special appliance just to make iced coffee though. Thank you for sharing. Most of my friends love their iced coffee. I like this Japanese style of serving up a nice cold cup of coffee. I thank you for the information on this system.